Outside of being an employment law attorney, I practice Brazilian Jiu Jitsu. It is a grappling based martial art that owes its modern development to the Gracie family, especially Helio Gracie. But it also offers a broader perspective for approaching conflict outside of physical matches. And – since business is rife with conflict – it frequently offers applications to businesses and start-up companies, especially in the area of employment law. Attack – Once you have the first two principles taken care of, you are now going to be in a strong position to go on the offensive in terms of looking for submissions or other scoring opportunities. 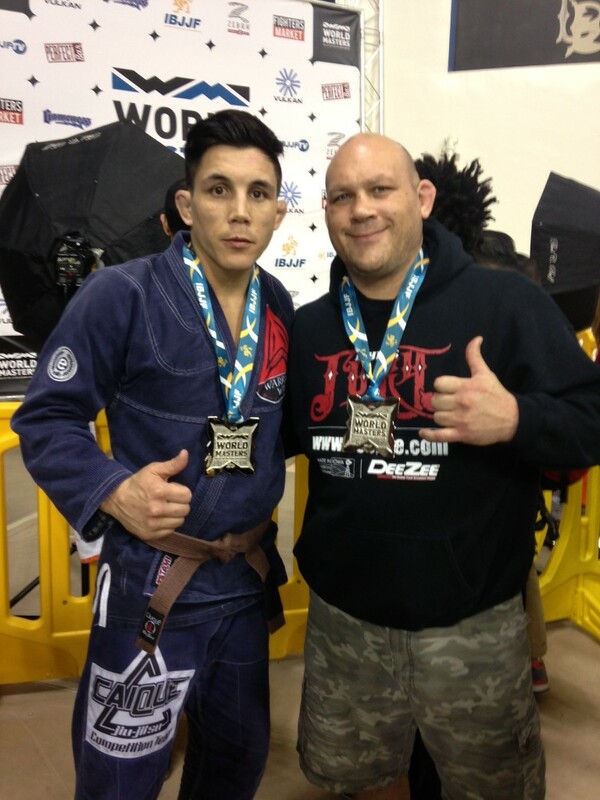 Instructor Bagaly is a jiu jitsu black belt and a very successful competitor. He further explained that his success on the mat goes back to continually assessing whether he is following these principles. In other words, there are times he has taken care of the first two concepts and began to work towards a submission, i.e., an attack. But his opponent counters, which may require going back to regaining control. Or, if you take a big gamble (or are less experienced like me), you may find yourself having lost significant ground and forced to expend a lot of energy and effort focusing on preservation or regaining control. In sum, failing to abide by these principles in a jiu jitsu match often results in being on the wrong end of a submission (trust me on this). Professionally speaking, in working with start-up companies and even established businesses, we often see where these principles have not been looked at in a while or even overlooked from the outset. For example, entrepreneurs will often take appropriate steps to form a business but then everyone involved in the venture jump right into bringing the product/service development to market. So they have gone from minimal preservation (forming a business entity) to attacking, i.e., getting the product or service to market. It is not uncommon to find that in that rush one founder has the company’s domain name registered in his or her own personal name. Another founder may be contributing the initial intellectual capital to be expended upon by another employee, founder, or both. But in these circumstances the control aspect was ignored in terms of not having having or having inadequate non-compete, non-disclosure, or employee invention/intellectual property assignment agreements in place to cover these and other situations. Such agreements allow for a significant measure of control for building the company and putting it in a place to successfully compete in the market place, and an eventual exit strategy for the founders. Without that control, however, it is not uncommon for founders battling over ownership interest in designs, software, or other intellectual property with employees in addition to employment law compliance issues that can arise along the way. Another very common fact pattern where businesses get into trouble is ignoring the need for ongoing assessment. After moving beyond start-up, your company is now expanding. But it has been a few years since your company first drafted its employee manual/employment contracts. And since that time, there may have been significant changes to workplace laws or “novel” theories by employment-based regulatory agencies as to what is or is not permissible in company employee manuals. If these issues aren’t updated, you may have a ticking time bomb hiding in your company’s employment documents. Or maybe a significant court opinion has come down limiting the effectiveness of certain restrictions in a non-compete agreement. Going back to the concepts of preservation, control, and attack, your company should assess whether it is still on solid ground to maintain appropriate control of employment risks and opportunities before expanding its human resource assets. Otherwise, the next round of competition may not be against competitors, but rather against a former employee who is challenging his or her non-compete restrictions from the offices of your competitor forcing your company to expend time and resources on legal fees dealing with ancillary issues that, if properly controlled in the first place, would not have been an issue or an issue easily dispensed with early on in the dispute. As an employment and business law attorney, this quote drives home the point of how companies and start-ups should approach business – continually taking the steps to monitor and investing the time to allow their business to efficiently compete without having to resort to brute force in the form of substantial legal fees that escalate pursuing or defending against drawn-out litigation. For more information about federal or Michigan employment legal issues or otherwise discussing employment best practices for your start-up company, contact attorney Jason Shinn. Since 2001, he has represented entrepreneurs, start-up companies, and established businesses in responding to employment and business law challenges. This experience includes pursuing or defending such matters in state and federal courts.